Latin pop singer asks why New Zealand mosque attacker is not being called a terrorist. 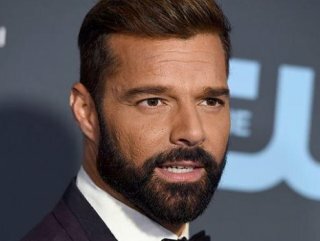 Puerto Rican singer Ricky Martin, regarded as the king of Latin pop, blasted international media for not calling the man, who killed at least 49 people in twin mosque attacks in New Zealand, a “terrorist”. "WHY DON'T YOU CALL HIM A TERRORIST?" On his Instagram story, Martin wrote: “The man, who killed more than 40 Namazi and left 20 seriously injured. 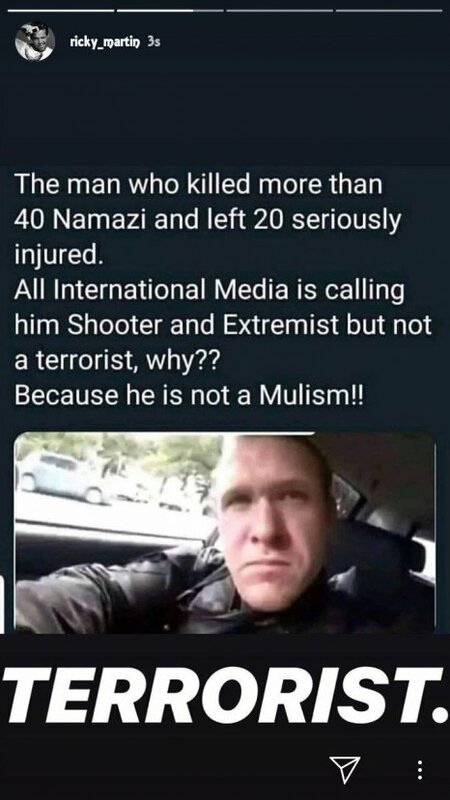 All international media is calling him Shooter and Extremist but not a terrorist,why?? "Because he is not a Muslim!!" 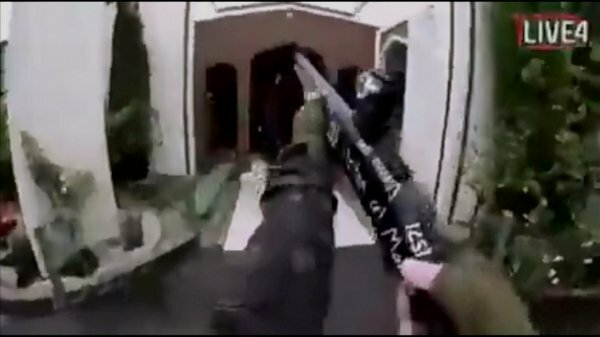 The terrorist identified as Brenton Harrison Tarrant, 28, opened fire on worshippers during Friday prayers at the Al Noor and Linwood mosques in Christchurch. At least 49 worshippers were killed and 12 others critically injured during the attacks. Tarrant would remain in custody until April 5, a court in New Zealand decided on Saturday.